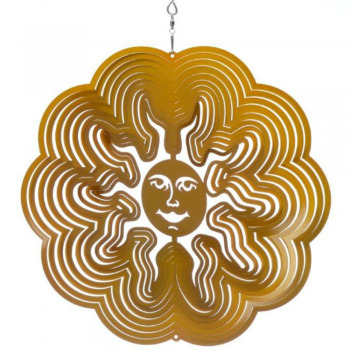 This gold sun wind spinner is bound to bring a splash of colour to any garden. Made from stainless steel to prevent rusting hang the spinner from the attached hook and be mesmerised as the wind turns your spinner. A real talking point in any garden.